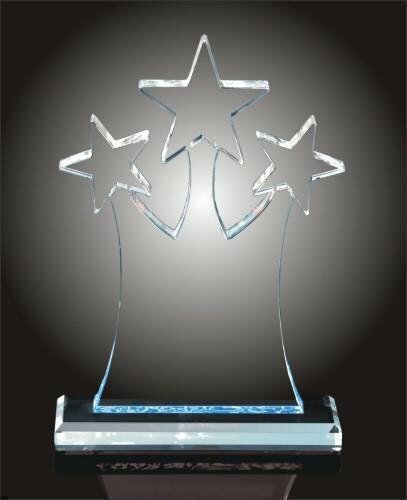 The triple star crowning acrylic award is a great way to show any recipient that they are a star. Not just a star, but a triple star. An Excellent patriotic award.